Colombia coffee is known all over the world for its unique taste, flavor and aroma. The beans come from plants grown only at high altitudes in cooler climates. Coffee lovers can have their caffeine boost with this flavorful blend no matter where they are in this world. 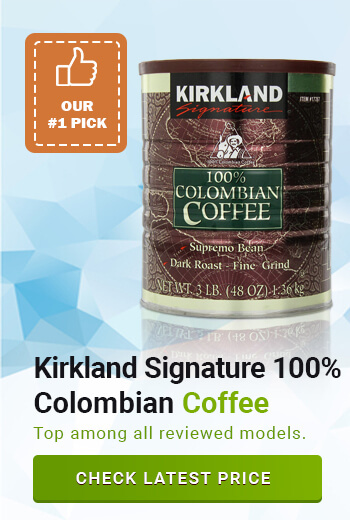 This product is made from 100% Colombian coffee variety. The beans come from growers who are members of the National Federation of the Coffee Growers of Columbia. This is a 6,000-member association of Colombian coffee growers with small holdings. Members of this association produce reliably good coffee quality. This is not a classic Colombian coffee. However, it packs a great flavor at an amazing bargain. The Supremo beans are dark roasted, then finely ground. Some of the fine grind may get into the pot. A few granules may be seen settling at the bottom. 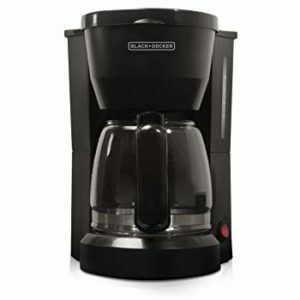 It is recommended to check the coffee maker from time to time as you are brewing. It could overflow if the fine granules are too packed and do not allow the water to drain fast enough. The brew is medium-bodied. The taste and the kick from the caffeine are balanced. It also has a wonderful strong aroma that heightens the coffee experience. True to its Colombian origin, this coffee has unsweetened chocolate notes. It leaves a smoky bitterness and black malt flavors on the palate.The finish is intense bitterness with some dryness. This is perfect for people who enjoy coffee with intense flavors. The acid profile of this coffee product is very low, highlighting its good roast quality. This is a medium dark roast coffee from 100% Colombian coffee beans. The taste is distinctive and full-bodied. It is bold, with unique smooth and rich flavors. 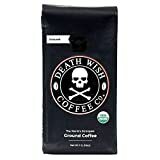 This ground coffee comes in a delicious brew without any bitterness. The brew is strong yet smooth. It is robust and rich with an aroma that delights and awakens the senses. 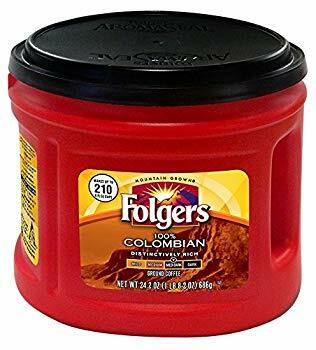 Folgers Colombian coffee can be enjoyed in many ways. 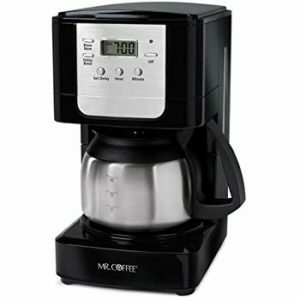 A traditional hot brew in a coffee maker gives a rich taste even without any cream or sugar. You can enjoy it black or with a small amount of sugar or cream or both to add richness to the brew. This coffee is also great as a cold brew. Although some coffee taste awful when cold, this coffee is just as rich and delicious when cold. This product comes in several different flavors. 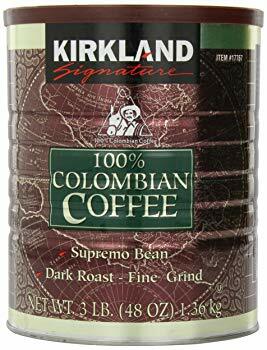 There’s the 100% Colombian dark roast flavor. Coffee enthusiasts can also choose from French Roast, Black Silk, House Blend, Gourmet Supreme, and Special Roast. The Gourmet Supreme is strong and bold, with a slightly more bitter taste. Black Silk flavor is strong and smooth, with a powerful “wake up” effect. The coffee beans are ground using a special technique called mill flaking. This results in better extraction of the coffee flavors and aroma. 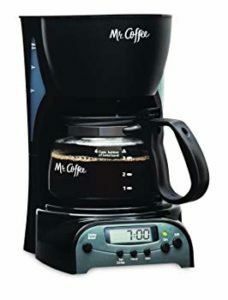 This produces a wonderful brew using fewer scoops of ground coffee. The company is known for its great line of coffee variants. The beans are all mountain grown and purchased directly from small farmers. 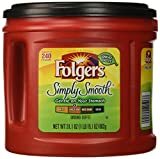 Folgers Company has a commitment to using only green coffee. This means that the coffee beans are sourced from suppliers who observe ethical practices both in dealing with workers and in their environmental and safety policies. The pre-ground Colombian coffee comes in a plastic 24.2-ounce tub. The plastic lid is screw-on. This packaging helps to maintain the coffee’s taste and aroma longer. 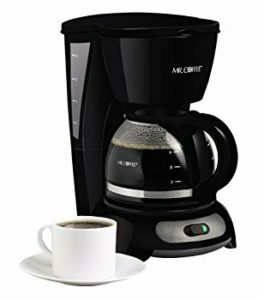 This company produces all things that have to do with coffee, including the filters and the coffee makers. One of Melitta’s coffee offerings is the Melitta Coffee Colombian Supreme. Melitta uses the top 2% of Arabica bean harvest per year to create this product. These beans are of higher quality. The primary source for these beans is smaller family farms. These farms are found at the highest altitudes in the region known worldwide for its top quality coffee. Each batch of beans is roasted then ground to extra fine consistency. This is what true European ground coffee are made of. The distinctive extra fine grind releases the coffee’s flavor from its very core. The result is a full bodied, rich cup of brew. It has a smooth flavor without any bitter aftertaste. The beans are medium roasted for full bodied flavor. The coffee gives rich taste even with 30% less coffee grind used. A 6-ounce serving only needs 2 tablespoons of the ground coffee. This ratio can be adjusted to suit your own preferences. The grind is almost powder-like and moist. It isn’t granular or gritty at all. Melitta filters are best used when brewing these ground beans. The filters are of the right porosity to strain the extra fine grind. The resulting brew will have much less coffee granules mixed into it. 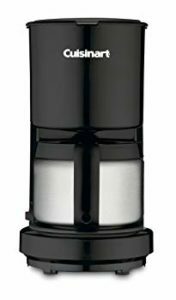 The extra fine grind makes the coffee flavor and aroma evaporate quickly after opening. 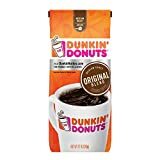 To preserve these coffee qualities, it is recommended that you put the ground coffee in a tightly covered container and store it in the refrigerator after opening. 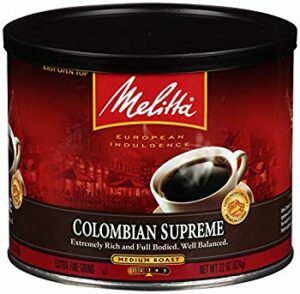 The Melitta Colombian Supreme is available in different variants. The Melitta’s signature Classic Blend packs a nice, original, true Colombian coffee taste in its most natural form. Signature indulgent flavored variants are also available. This product is certified as kosher. It is easy on the stomach and does not usually cause any stomach acidity or slight cramps. Roasting, grinding and packaging are all done in Cherry Hill, New Jersey. 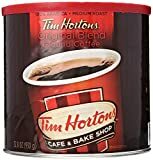 This product is packaged in a large cardboard tube lined with foil to keep the coffee fresh. The bottom is reinforced with a metal disc. The lid is a plastic snap top. This package is airtight and keeps the flavor in that is why this has a longer shelf-life than most other similar products. The container is BPA-free. The package is a large 2-ounce container. Colombia coffee is one of the most flavorful in the world. Its uniqueness stems from special processes that the coffee undergoes. These products have been meticulously made using beans sourced from farmers and suppliers who adhere to the strict guidelines on the production of Colombia coffee. With each cup made from these products, you can have the best Colombian coffee experience.